Jerri-Lynn here: Persevere with this dense post, as it’s important. This story shows just how much of a crook Paul Manafort is. And how the mainstream media – e.g., the WaPo and NYT misread solid evidence of the sleaze: they’ve portrayed evidence of a real crime (fraud) as evidence of a fake one (failing to register as a foreign agent, etc.) – and how plain improbable Deripaska’s “partnership” was for the stated reasons. To put this in context, we put the question to John: is Deripaska connected to Putin? He replied that yes, he’s connected, but then all the oligarchs are – it’s a defining precondition, or else they don’t stay oligarchs. And then the follow-up: The more immediate question if Putin wanted to meddle, would he do so through a guy like Deripaska? The bottom line: probably not. Oleg Deripaska (lead image, left) is famous for snatching other people’s money and legging it. The records of the High Court in London show what he did to Mikhail Chernoy (Cherney), Boris Berezovsky, and Roman Abramovich. Chernoy recovered $200 million in 2012; click to open. Only two people have ever taken Deripaska’s money and legged it themselves. One was Anthony Louis, owner and editor of the Moscow Tribune, the first English-language newspaper published in Moscow. Louis took several thousand dollars in exchange for shares to keep his paper afloat but never handed over the shares to Deripaska. The newspaper sank without trace in 2002. In April 2008 Paul Manafort (lead image, right) took $18,938,400 from Deripaska in return for which he promised to invest up to $100 million in Ukrainian cable television and telecommunications companies. Manafort trousered the cash, or so Deripaska has alleged in court, as he has been trying to get his money back. But Manafort’s hustle has been reported in US newspapers as an attempt to promote Kremlin influence in US elections, especially the one which put Donald Trump into the White House last November. The evidence for the subversion claim is now being gathered by the Special Counsel Robert Mueller, and reported publicly by leaks of what his investigation has placed in evidence before a grand jury. These include CIA, NSA and FBI surveillance and wire taps of Manafort during the presidential election campaign – yes, during the presidential campaign — and afterwards. On September 20, the Washington Post, a catalogue belonging by Amazon owner Jeff Bezos, published excerpts of Manafort emails which have been leaked by the FBI, whose agents broke into Manafort’s apartment at dawn on July 26, confiscating papers and computer records; by investigators with access to the files of Counsel Muller; and by other investigators, all of them pleading anonymity for themselves and authenticity for their leaks. The newspaper claims: “The emails are among tens of thousands of documents that have been turned over to congressional investigators and special counsel Robert S. Mueller III’s team as they probe whether Trump associates coordinated with Russia as part of Moscow’s efforts to interfere in the 2016 U.S. election.” The newspaper’s reporters deny having read the emails directly. Instead, they claim that “portions of which were read to The Washington Post along with other Manafort correspondence from that time.” The newspaper describes the readers on whom it relies for the veracity of the email quotes as “people familiar with the discussions” and “investigators”. A Manafort spokesman called Jason Maloni is cited by the newspaper saying the email exchanges reflected an “innocuous” effort to collect past debts. “It’s no secret Mr. Manafort was owed money by past clients,” Maloni said.” The reporters omitted to ask Maloni to comment on public court records indicating that at the time of the excerpted emails Manafort was in debt to Deripaska for more than $18 million. Elsewhere Maloni’s (pictured below left) repeated disclaimer that Manafort owes Deripaska money is carefully worded to allow the possibility that companies Manafort controls may indeed have owed, and still owe, companies controlled by Deripaska. For the names of the roster of front companies which both men have used to deal with each other, click to read. One of Deripaska’s spokesmen in Moscow, Vera Kurochkina (above, right), has accused Manafort of being a hustler, but she doesn’t admit Deripaska was conned. Last week Kurochkina was reported as telling the Washington Post the leaked Manafort’s email excerpts amounted to “[scheming by] consultants in the notorious ‘beltway bandit’ industry.” She also told the newspaper its investigations “veer into manufactured questions so grossly false and insinuating that I am concerned even responding to these fake connotations provides them the patina of reality.” Kurochkina was not asked by reporters if Deripaska confirms that Manafort owes him money. She isn’t saying if so. 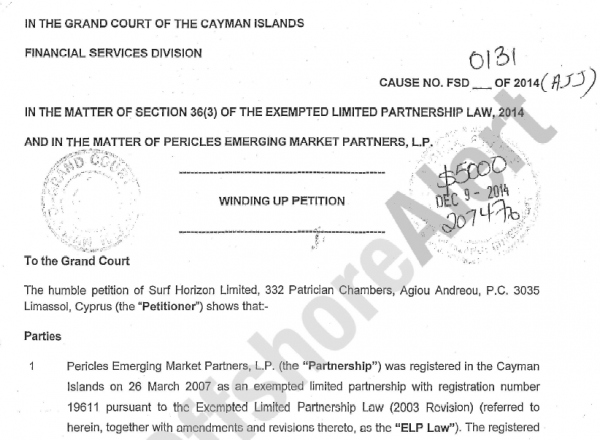 The Deripaska case that he was hustled out of $18 million by Manafort was set out in papers currently on file in the Financial Services Division of the Grand Court of the Cayman Islands. Filing was on December 9, 2014. They describe a scheme aimed initially at investing $200 million of Deripaska’s money, along with others, to create commercial monopolies out of targeted retailers, television cable companies, and road builders operating in eastern Ukraine, particularly Odessa – Deripaska’s family origin – Mariupol, and Kiev. Read the 16-page court dossier here. A New York Times version of what happened, based on accountancy reports and loan records found for Cyprus-registered companies belonging to Deripaska, Manafort and their associates, was reported in July. The Cayman Island litigation is a case of applying to a judge to bar the barn door after the horses had bolted several years earlier. It is an application from Deripaska’s lawyers to wind up the partnership which he and Manafort had registered on the island through a string of their cutout companies on the ground that Manafort had run away. Deripaska names the Manafort men “involved in furthering the Partnership’s investment program included Rick Davis, Rick Gates, Paul Manafort, Alexander Balanutsa, Christian Ferry, Philip Griffin, and Konstantin Kilimnik”. On his own side of the partnership Deripaska doesn’t mention himself or the associates working for him in Odessa, Mariupol and Kiev. Not even this much turned out to be necessary. “Save for one investment into a Ukrainian company, Black Sea Cable (Ukraine) (“BSC”) in the telecommunications sector, providing cable and internet services, these investments did not eventuate.” The court papers go on to describe a pyramid of cutout companies by which Manafort proposed to Deripaska to take his money and spend it to take control of Nika TV, Satelit Limited, Ideal+, Black Sea Telecompany, and Cardman. 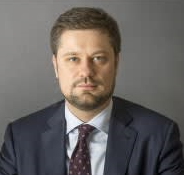 No Ukrainian sellers were identified in this dealmaking, except for one – Sergei Gennadievich Smirnov, who was hanging on to a minority stake in Nika. On April 15, 2008, Deripaska says he paid Manafort and their “partnership” $18,938,400. Deripaska does remember, though, that his deal with Manafort allowed a 2.7% management fee. Manafort was religious about sending six-monthly invoices for this, commencing in April 2007. By the end of 2008, Deripaska had paid $7,350,000 “on the explicit instructions of Paul Manafort”. The court papers are silent on what Manafort had done for his money – or if indeed he had passed the money on to Ukrainians, whose television assets were Deripaska’s apparent target. For the next three years, the court papers claim, Deripaska tried to get Manafort to provide accounting reports of what he had done with the money, but received nothing. “The Petitioner has not been provided with these audit reports nor is it aware whether any further audits were performed in respect of the Partnership.” There is no trace or sign in these records, or in the New York Times excerpts of the Cyprus cutout loan accounts, that any Ukrainian asset had been purchased. 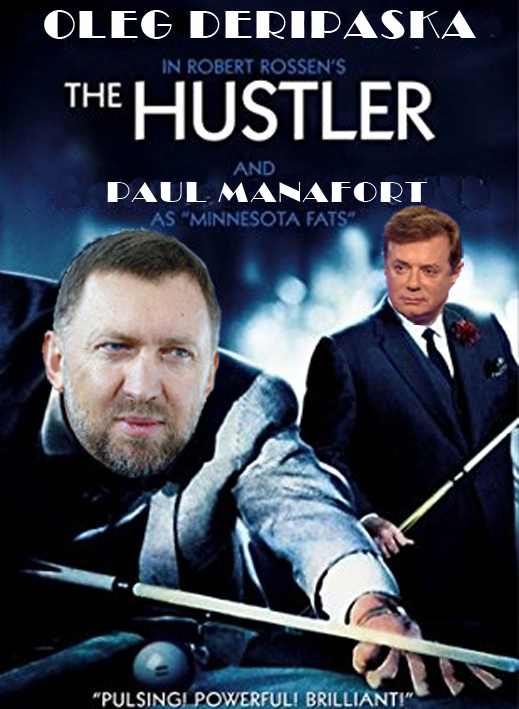 If Deripaska’s court claim is to be believed, Manafort had legged it with the cash – Deripaska had been hustled. A few weeks ago Kurochkina refused to tell the New York Times whether Deripaska is continuing to pursue Manafort’s $18 million debt. That newspaper claimed “Mr. Deripaska appears to have stopped pursuing his court action against Mr. Manafort and his former investment partners, Rick Gates and Rick Davis, in late 2015.” The newspaper reporters didn’t ask, and Kurochkina didn’t explain, what services Manafort had invoiced Deripaska for which $7.3 million was paid out. Noone has asked Deripaska whether he thinks Manafort kept the money for himself. The years 2008 and 2009 turned out to go badly for Deripaska in the US, particularly as he had set his heart on a German and Russian Government-financed buyout of General Motors’ Opel car division. The lobbying in Washington which Deripaska paid for, as well his reason to believe then US Secretary of State Hillary Clinton supported his Opel deal, were reported here. But Clinton, the US Treasury and other Obama Administration officials broke their word, and cancelled the Opel sale. If Deripaska had been content to leave Manafort holding $26,288,400 of the Russian oligarch’s cash through the 2008 crisis and the General Motors negotiations in 2009, his patience had run out by November 2009, when the cancellation of the Opel sale became public. These days, according to the media leaks, US Government investigators of Manafort are pursuing a different lesson. This is that Manafort took Deripaska’s money for the purpose of subverting the US presidential election of 2016. The court evidence indicates that Manafort was paid for Ukrainian assets which didn’t materialize, and kept the money for himself through a period when the US government first decided to sell a multi-billion dollar part of then-bankrupt General Motors to Derripaska, and then, quite suddenly, decided not to. Afterwards, that’s between 2010 and 2014, Deripaska (“Petitioner”) changed his mind, too. Andrei Petrushinin (right) is Deripaska’s spokesman at his EN+ holding company in Moscow. He doesn’t mention that if he can avoid it; for example, when he wrote an article for the Japanese-owned Financial Times, defending the bankrupt Deripaska aluminium smelter in Montenegro. Click to open — the word Deripaska doesn’t appear. Petrushinin was asked on Friday if Deripaska has a continuing claim for return of investment of $18 million against Manafort, or has the Cayman Island court case been settled? If settled, Petrushinin was asked, on what terms? Acknowledging the questions, an assistant said Petrushinin was at a morning meeting and requested a call-back in the afternoon. The afternoon call was rebuffed with the claim that Petrushinin was at another meeting and unlikely to return to the office. The questions were then emailed to him. He has not replied. This entry was posted in Guest Post, Politics, Russia on September 25, 2017 by Jerri-Lynn Scofield. Late-stage capitalism . Get used to it , it isn’t going to get better . Trump ensures. Scamming a scammer, well done.. It appears well documented, the AUM fees disclosed, and signed off on by the investor.. Whether or not he declared it and paid taxes due is another question.. Considering the following, (follow the link) that stretch thingie starts making more and more sense. The lobbying in Washington which Deripaska paid for, as well his reason to believe then US Secretary of State Hillary Clinton supported his Opel deal, were reported here. But Clinton, the US Treasury and other Obama Administration officials broke their word, and cancelled the Opel sale. When Hillary Clinton (lead, left) was US Secretary of State in 2009, she proved she could lie to the German Chancellor Angela Merkel; keep secret her hostility towards Russia even in her secret staff emails; and take money in her back pocket for an $8 billion deal between the US, Germany and Russia recommended by her subordinates. The record, recently revealed in US investigations of Clinton’s emails and donations to the Clinton Foundation, shows why the Kremlin assessment of Clinton is hostile and blunt – Clinton invites and takes bribes, but can’t be relied on to keep her bargains. A lot of people remember being screw*d out of a $million, even 5 or 10 years after the fact. The way I read this post, and the embedded history of Hillary’s double-cross of Deripaska, is that there is an unstated agreement among our current ruling class, that it’s ok to double-cross and provoke Russia/Russians for profit, but not to make actual deals because that would be collaboration at least, and maybe treason. Or maybe the US’s “elite” don’t consider the Russian oligarchs “sophisticated” and are therefore ripe for plucking. After all, “it’s just business”! The US Elite don’t consider any of us ‘sophisticated’, and therefore ripe for the picking. I thought these Russian bad boys played a more brass knuckled style of business. How does one steal $19 million from Deripaska and get away with it? I thought the same thing. Does Manafort have stock in Blackwater or what? The blithe narration of unmitigated corruption says all one needs to know of the times we live in. Apparently, the Russians still believed in that old saw about “honor among thieves”. Probably makes sense in Russia, where a lack of honour can soon turn you into bear meat.